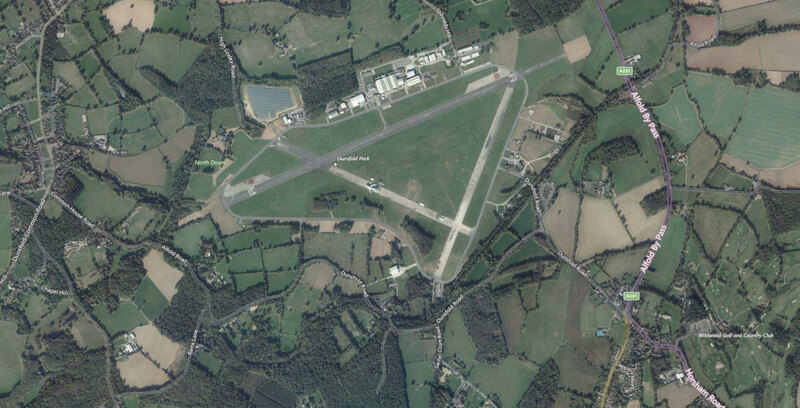 Dunsfold Airfield was cleared of woodland, farmland and buildings to form the Canadian Air Force airbase in 1942. Units of Canadian troops cleared land requisitioned from the people to form runways, perimeter roads and after little more than one month the first aircraft had landed. 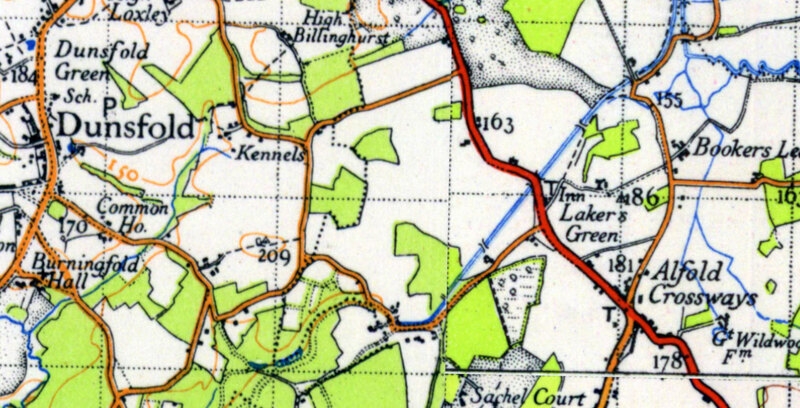 The old Brighton Road from Godalming was relocated so that it no longer ran through the site at Pains Hill. The old cast iron milestones were amended by one mile to reflect the additional mileage diversion. 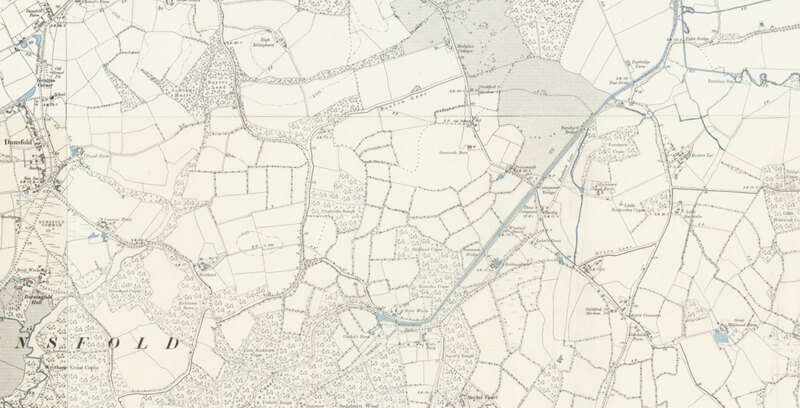 Most farm buildings and farm houses were removed with the exception of the Chiddingfold Kennels (now Honey Mead), Primemeads Farmhouse (originally Stillwells Farm) and Broadmeads Cottage (now referred to as Canada House). 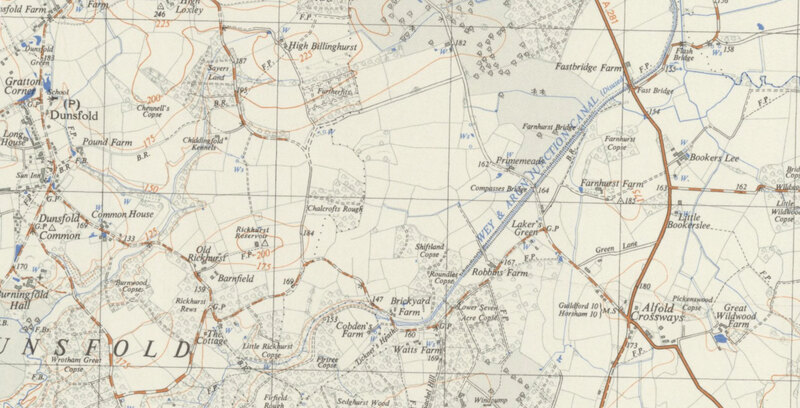 The latter was moved to the southern perimeter and now stands alongside Benbow Lane. 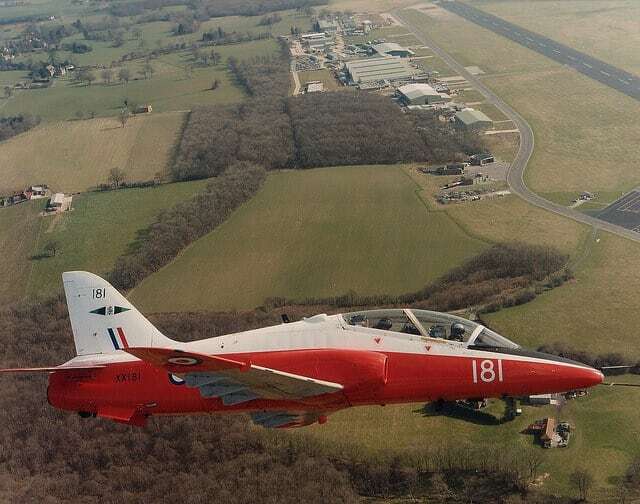 The three runways and perimeter track are very complete, built with a pioneering form of construction and still retain original features such as light fittings and cast iron drainage channels. 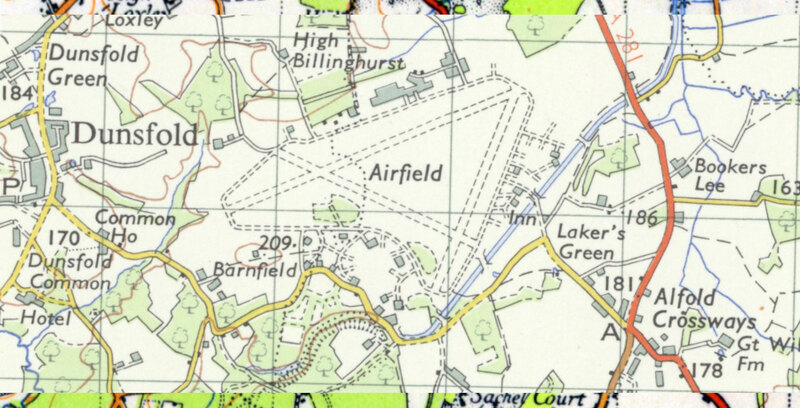 In 1942 this airfield was an expression of a technical and social innovation of the period to meet demands of the war time. 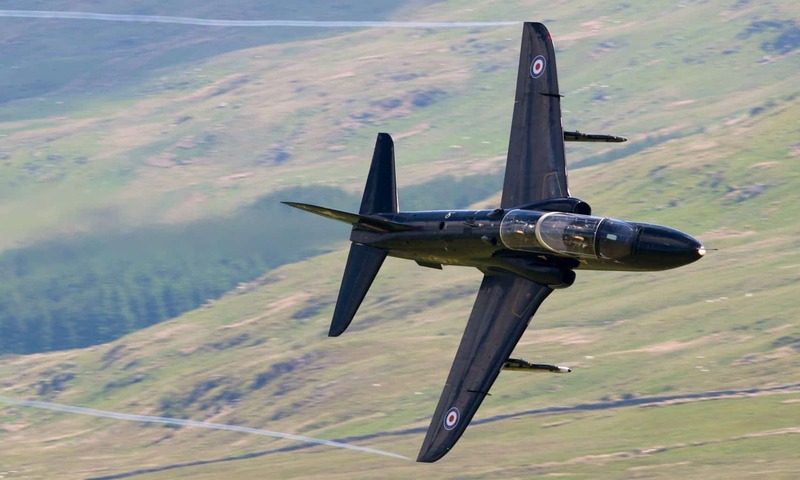 It has been adapted to suit the needs and development of the Vertical Take Off and Landing aircraft with the VTOL platforms for these ‘jump jets’.